Sixty-seven-year-old grandma Christine Bromley spends up to nine hours a day four days a week helping people struggling to buy the food they need by volunteering at FareShare's new East Midlands distribution centre. 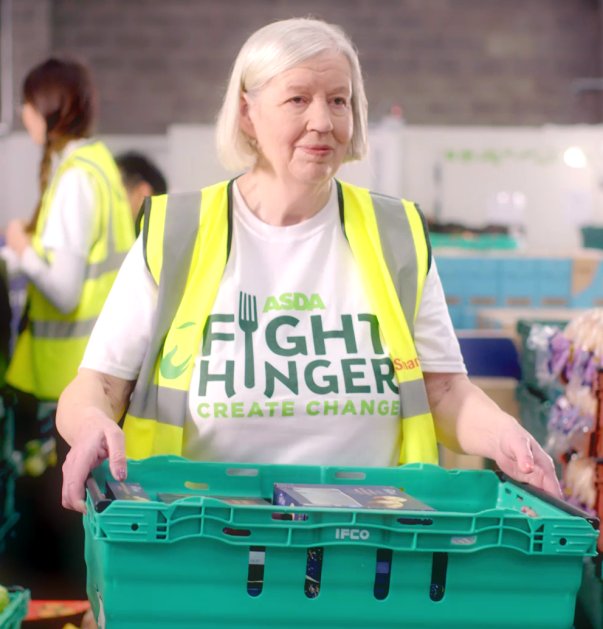 The depot in Leicester was paid for by the Asda Fight Hunger Create Change initiative – a programme investing £20 million in FareShare and The Trussell Trust over the next three years to help people living in food poverty. The larger premises mean FareShare can help more than 60 new charities and groups distributing food to people in need across the East Midlands – helping tens of thousands of people in the region. Christine, who has two children and four grandchildren, spends most of her free time at the warehouse in Leicester – she's there between 8.30am and 5.30pm four days a week. She said: "Asda's support means a lot to me, and it means a lot to everybody at FareShare. 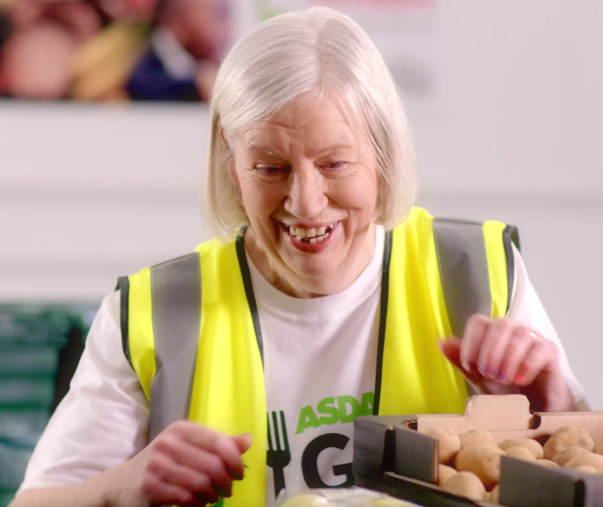 Asda being involved really highlights the work we do and the work FareShare does, so people find out about us, know what we're about and how we help people. "I've lived and worked in Leicester all of my life, so it means a lot to me to be able to help people from all walks of life. "I know there are lots of people in the city that need help – it's the same in any big city." Christine worked as a secretary, but when the company went under three years ago she decided she wanted to give her time to help food charities. "I just wanted to help people, and also stop food waste," said Christine. "Good food being thrown away just shouldn't be happening so I really wanted to do something to help. "I used to go out with the drivers and see the people we help for myself – foodbanks, hostels, homeless shelters, soup kitchens, schools – and it was a real eye-opener. You appreciate how fortunate you are. I feel like I'm doing a good deed by helping all these people who are in need. "I really enjoy it. My family think the fact I volunteer here is brilliant – they're all for it. "When I worked as a secretary I felt like I was just a number, and it was all about profits only. This is completely different – it's not for profit and is a much more positive and friendly environment. I load food on to the vans, book food in and tidy up – anything that needs to be done really. There's always a lot to do, and the days fly by. "The new warehouse is a lot better. We've got much more room and more space for chilled products – we used to be tripping over each other in the old warehouse. "It's a very physical role but I enjoy that side of it too – I used to really dislike sitting at a desk all day!"